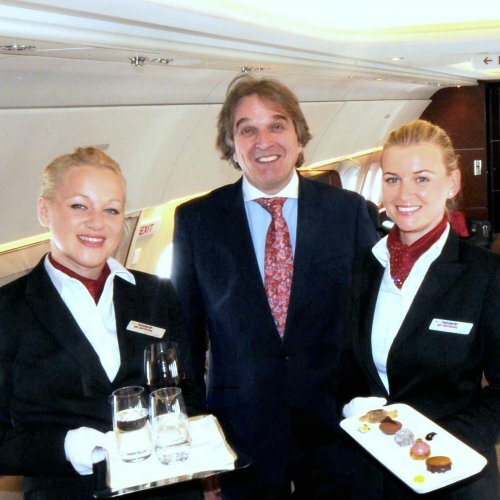 Tyrolean Jet Services (TJS) was established in 1978, as Austria´s first Executive Air Operator, operating Business Jets for a Corporate Flight Department and valuable clients on the worldwide Air Charter Market. For more than 35 years TJS have established a solid relationship with charter - & aircraft management clientele in order to the safe and reliable operation of a unique collection of Business Jets – from ACJ319, ACJ318ER, Global Express, Gulfstream 550 to several Midsize Business Jets. TJS offers Business and VVIP-Charter Flights, Aircraft Maintenance & Sale, Concierge-Services – everything on a 24h/7d basis. We are looking forward to continuing our business according to our long term internal high standards including Stage 2 IS-BAO certification and ARG/US Platinum rating, both recently awarded. ARGUS, the leading audit organization for aircraft operators around the world, has re-re-awarded 2015 its Platinum Rating, the highest level of safety ratings.